1950 styled home with many retro features. Situated on 2 levels, the upper level consists of 2 bedrooms with built in robes, an open light - filled lounge and kitchen with lots of windows to take in the lovely valley view. 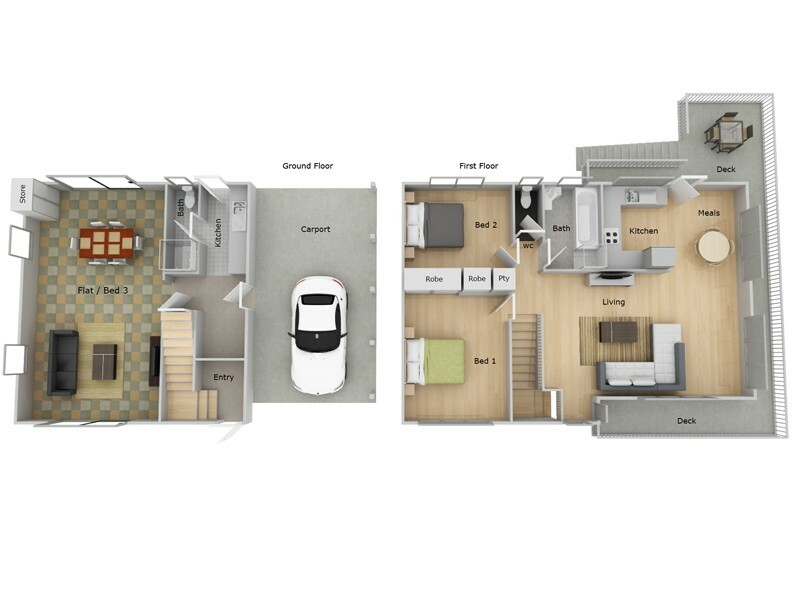 Lower level consists of a lounge/bedroom area, shower, toilet and kitchenette. A deck encompasses most of the top level with a covered north facing entertainment section that looks over the escarpment. Set on a large 952m2 usable block with garden shed. This property has many possibilities one not to be missed.